Icy windshields don't stand a chance against your brand when you advertise this handy telescopic ice chisel snowbrush! 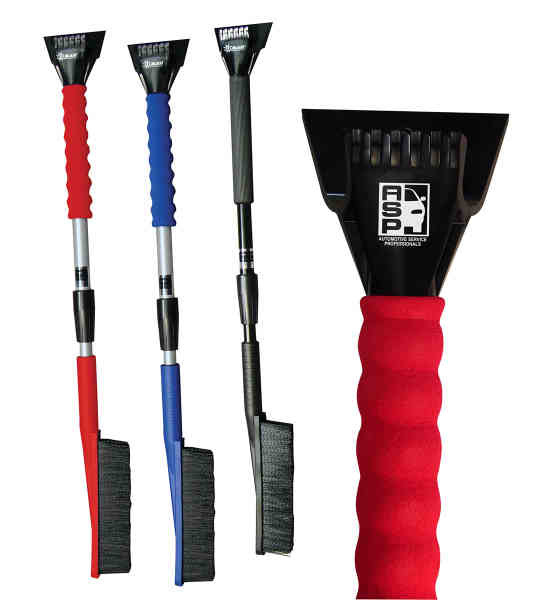 The Hoppy® snowbrush features an ice scraper and easy-grip foam handle. It measures 32 3/4" x 4" (when compact) with an 8 1/2" brush and extends to 42 1/2" x 4" for use on larger vehicles. The morning commute will be bad enough, so add ease to your customer's car clean up with this customizable snowbrush! Made in the USA. Size: 42 1/2 " x 4 "
Imprint Size:1 1/8" x 1 1/8"
Ship Weight:16 lbs, Handling Charge is added to each shipment.